Thank you so much to everyone that has entered my most recent giveaway. 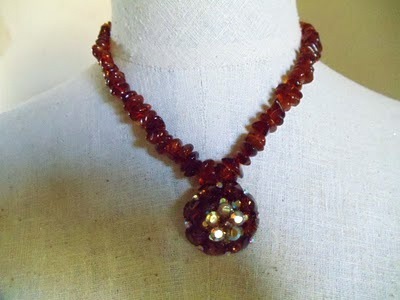 There are only two days left to enter to win this gorgeous vintage necklace. You still have time to enter HERE. Just popping in to wish you a Happy Thanksgiving! I'm so thankful to have your blog on my list of happy places to visit! Althought my brain hasn't fully awakened this morning, your giveaway certainly opened my eyes. Visited Providence, Ltd. Oh so much eye candy and lovely inspirational ideas. Would love to spend a week looking through the shop! Happy Thanksgiving!! Your blog is so beautiful–and I love your header!! !